Skye Gravestones | H. M. Hawkins. 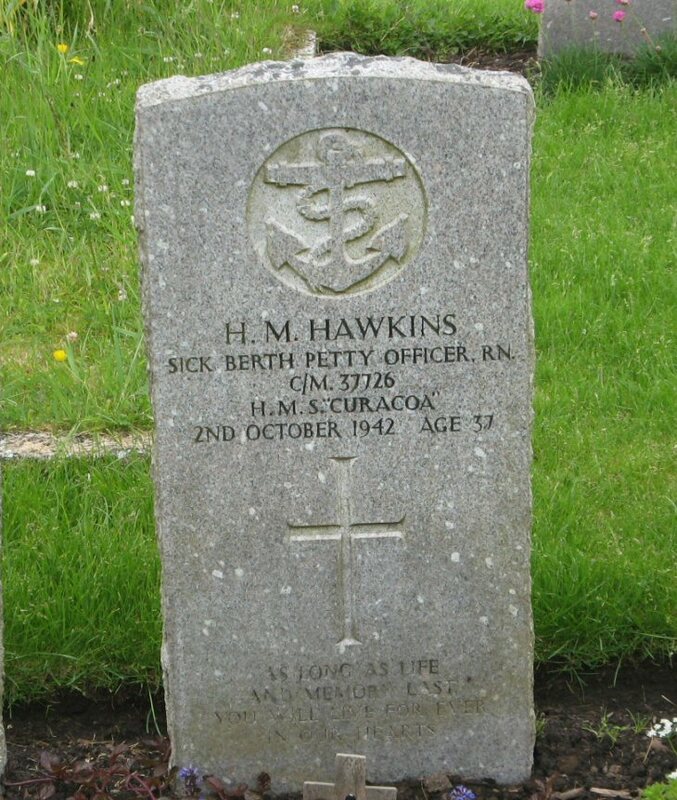 H.M. HAWKINS/Sick Berth Petty Officer RN/C/M 37726/H.M.S. "Curacoa"/2nd October 1942 age 37. As long as life/and memory lasts/your memory will live for ever/in our hearts.